Someone that’s wild and free and can say what he/she wants without a care in the world. Strong emotionally and spiritually. The SpitFire Podcast is a weekly show that highlights every day entrepreneurs on their journey, breakthroughs and stumbles along the way to living their purpose-filled life. Emma G pops in from a workout to talk about her journey to DC from New Zealand, her struggles to balance the expectations of two cultures as a dual citizen and the challenge of worth and pricing as a musician. Warning: This episode contains a number of "Truth Bombs"
Ginny Hill trucks down to Southwest DC on a snowy morning to sit down and talk about her journey in performing. What started as a fun night of karaoke turned into the pivot she needed to launch herself into the spotlight. Hear about how she pushed through her first failure on stage, handles the pressure of "perfectionism" and integrates a full-time job with multiple musical projects. We're talking about work-balance integration, motivation and goals for 2018. 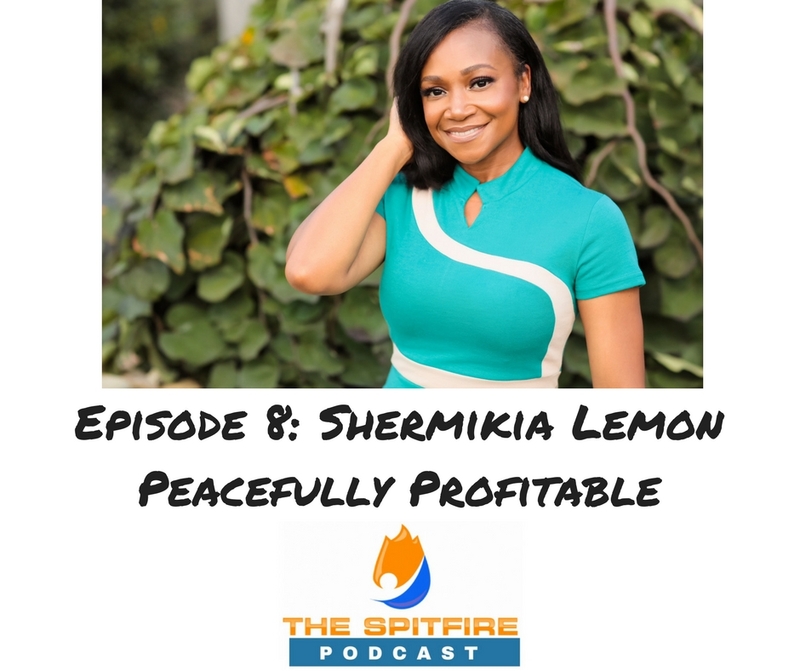 Peacefully Profitable Coach Shermikia Lemon calls in from North Carolina to talk about her journey into conflict resolution. After gaining a masters in peace and conflict strategies, Shermikia made the bold decision to leave the corporate world and apply her passion for calm to those in need. Now as a coach and wellness consultant, Shermikia guides her clients into a more peaceful, productive and prosperous life. Episode 7: What Makes Louisa Hall Tick? 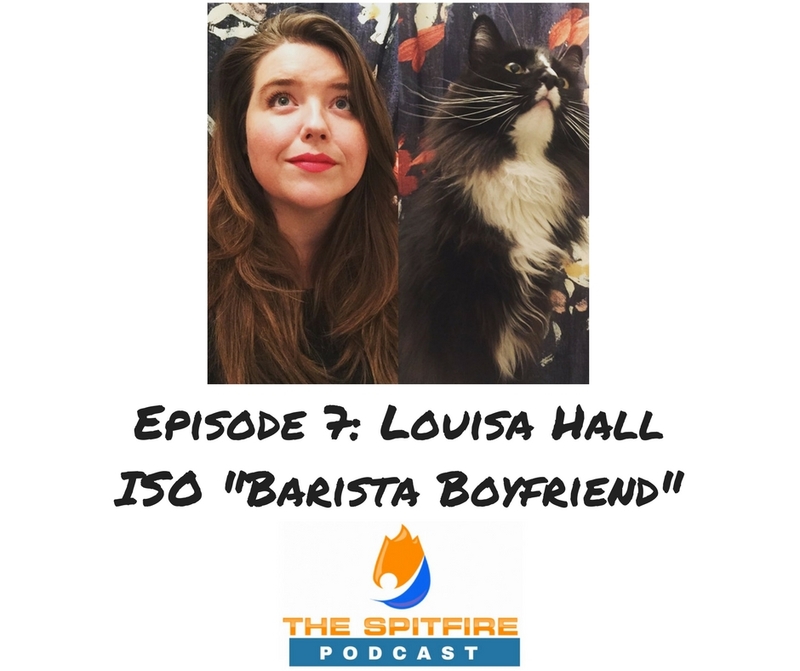 The Sweetly Snarky Songstress, Louisa Hall, sits down at my kitchen island to talk about her new album, videos, dating dos and don'ts and her quest for latte foam art. Check out Louisa Hall at www.louisahallmusic.com and save the date for her album release on February 16 at Jammin' Java! Visit www.spitfirepodcast.com for more information on how you can be a guest on a future episode. How do brands effectively communicate their message without the bells and whistles? How do companies spit their fire? Mark Phillips of Better PR Now joins Lauren for an in depth discussion on what makes PR and Communications really work. (Hint: It's not about gimmicks, flash or sparkle). On today's show Eli and Lauren compare notes on living in and on purpose and how they deflect icky vibes. As a full-time musician, Eli shares how he leverages and loathes social media and keeps his love of creating music and connections at the forefront of his days. Check out his new album and his CD Release Show at Songbyrd in DC on December 13th! If you like this podcast and want to support it, please visit our Patreon page. Educator, Yogi and Craft Beer Enthusiast, Erin Sonn chair poses for our chat as we talk about taking risks, trusting our selves, and letting it go! We get real about the pretension that prevents some people from getting into yoga and what Erin thinks about flat beer and people. Erin is the Founder of Eat, Yoga, Drink, a Washington, DC area yoga practice held in non-traditional spaces like breweries, restaurants and outdoor areas. She leads with mindfulness and aims to make yoga accessible for all. Lauren has a chat with Social Media and Personal Branding Rock Star, Meredith McCaskill of the personal branding consultancy, Twelve North Consulting. As an entrepreneur working with the personal branding of entrepreneurs, Meredith shares the need for authenticity and speaking from your true voice. Lauren sits down with Fundraising Ninja and Neighbor, Dawn Brown. They talk about where she gets her strength from and what challenges her confidence. After leaving a toxic workplace, Dawn is emerging as an even stronger nonprofit business development powerhouse. We’re looking for bold and courageous guests to share their journey of uncovering their truth and fire. We want every day people who are actively busting through barriers and blocks to live in their truth. Schedule a time and fill out a quick form here.